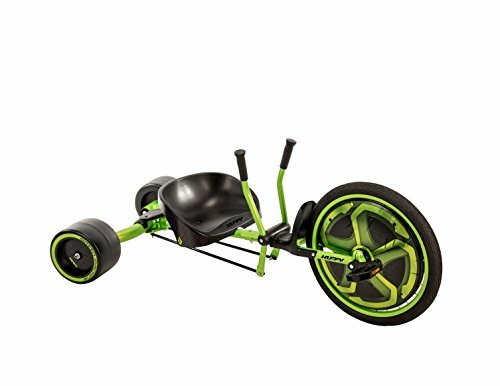 The 20 Inch Green Machine features a fresh design, new performance! Easy coaster brake, freewheel and dual stick steering give the rider total control for great slides and spins! Freewheel continues rolling momentum after pedaling for better thrills. Comfortable bucket seat adjusts as the child grown for non-stop fun! Huffy, "WE MAKE FUN!" If you have any questions about this product by Huffy, contact us by completing and submitting the form below. If you are looking for a specif part number, please include it with your message.